We occasionally send out update emails with helpful information on them and it's about time we made some sort of an archive of these helpful bits. If you're interested, we recommend signing up - we also send coupons! 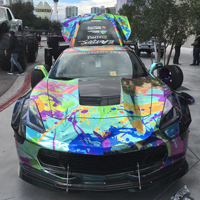 We've been so impressed with the support we've received from the Corvette owner community over these last couple years and we'd like to thank a few of you who have sent in photos. You all have wonderful cars, and we at Tapeworks thank you for choosing our Rimstripes to put on your cars! When we first introduced the Stripe-It-All tool to the public two years ago, we thought we had thought of every placement we could - our tool adjusts to tool based on our modification suggestions and it failed. It just didn't work right. We don't like to give up, and the result is we've come up with a custom variation on the Stripe-It-All tool, which we're simply calling the 'Mr. Groovy' tool. The spool guides have been reshaped and shaved down to a knife edge enough that you can fit the spool down in the trough and install your stripe in much the same way that we've been installing them this whole time. Of course, this tool works in every way the regular-issue Stripe-It-All tool does; you use the guides the same way, but this tool will put one of our Rimstripes in a tighter space than the original tool does, and it also comes with the special 3/16" spool that is only available with the Mr. Groovy Package. 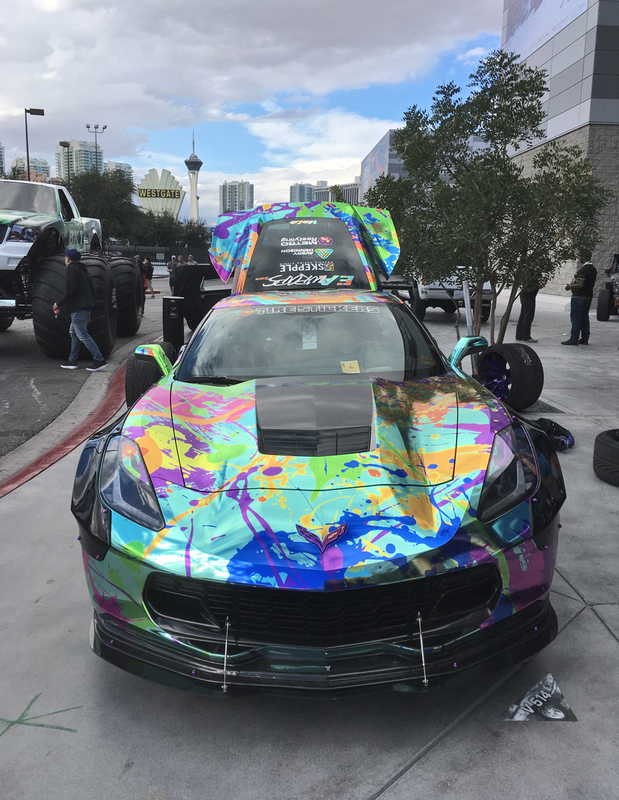 We returned to the SEMA Show in Las Vegas this year, for our second year exhibiting, and we've got a gallery of photos we took at the show for you! Tapeworks is proud to announce that we have officially received our first patent, for our Stripe-It-All Installation Tool. After three years of R&D, several design proofs, and two years of working with our patent lawyer, we have finally reached the finished line and as of March 29, 2016, we are now the owners of US Patent 9,296,252. From across the pond, Mark Ess at Hi-Lite Signs in Lincolnshire, UK had a big task. 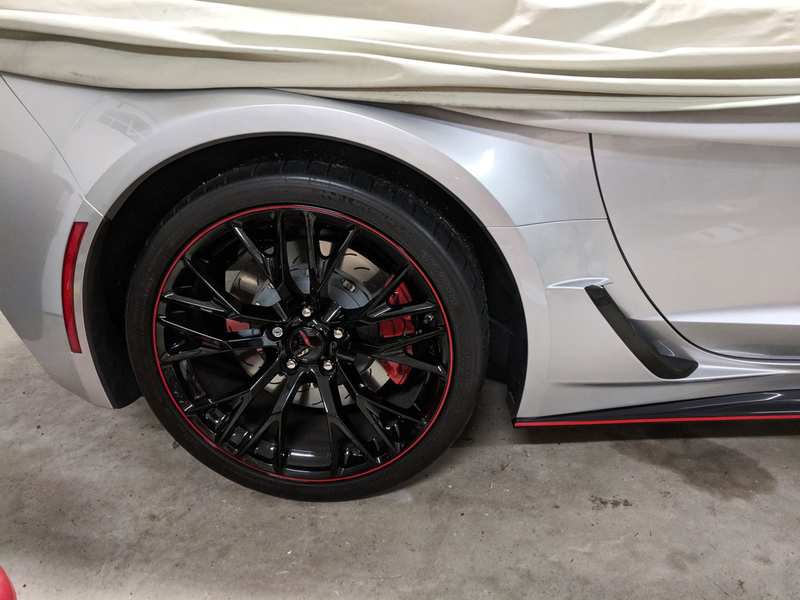 He needed to install rimstripes on a stable full of magnesium Marchesini racing wheels. Having heard about the Stripe-It-All Installation Tool and after having watched the videos of the tool in action, Mark ordered one through our Amazon marketplace. We received his order for a single Stripe-It-All tool. Since there's no direct line of contact between Tapeworks and our Amazon customers, we sent Mr. Ess a message through the Amazon website, letting him know what we're always looking for pictures of the end results. This would have been a serious headache job without it!! 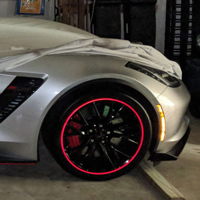 We had NO IDEA that Mark needed to install rimstripes on 55 wheels! That's 110 stripes!! How did you prep the wheels? Did you install the rimstripes with the wheels laying flat on a table? Was the tool simple to set up for your application? Did you need to experiment very much? Mark told us, "This would have been a serious headache job without it!!" 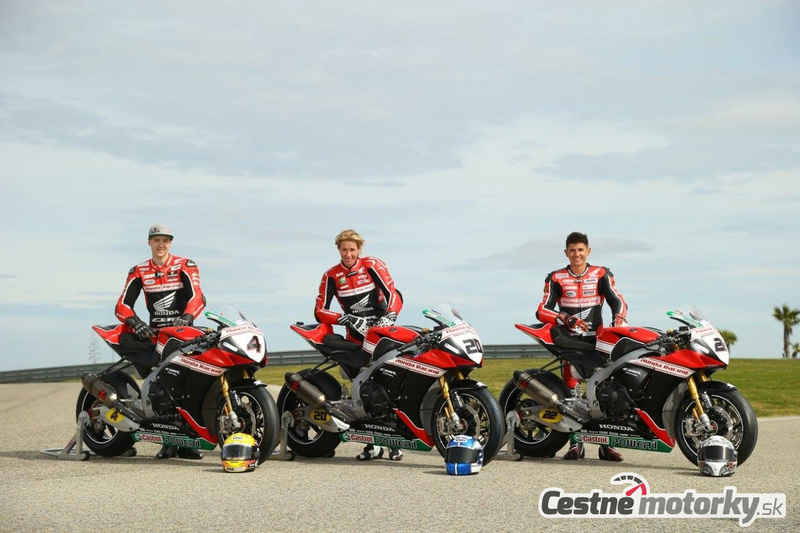 For the Honda Racing British Superbike Team . . . That’s Pretty Darn Cool!